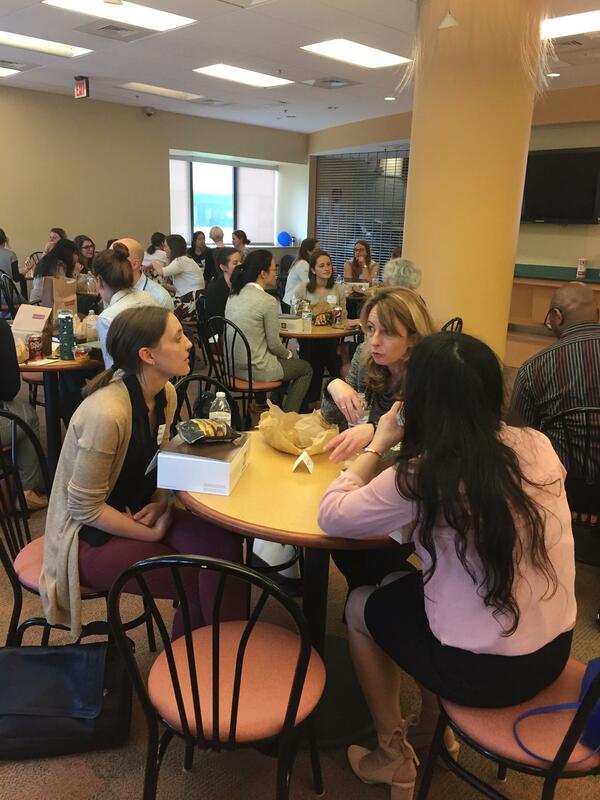 On Thursday, April 27th AWIS hosted the 2017 Meal with a Mentor. 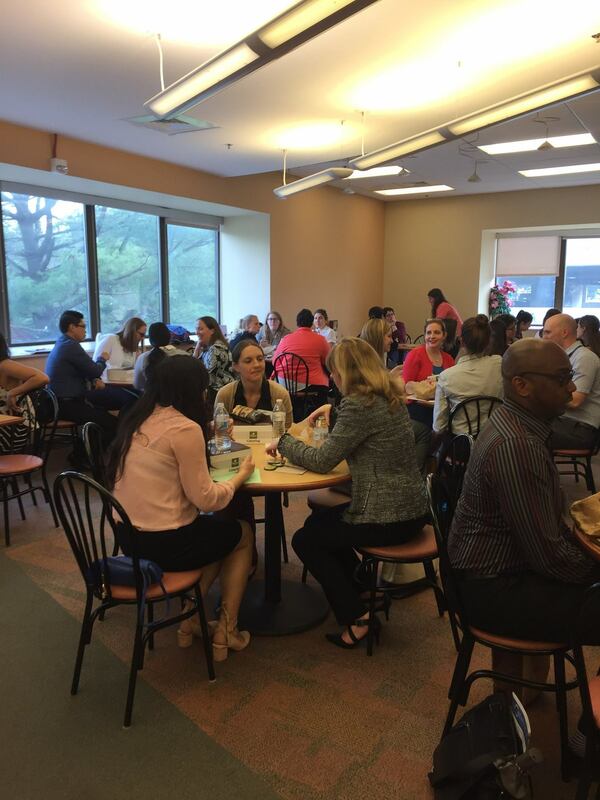 At this event we had 20 amazing mentors who met with attendees to discuss their careers. At the event Dr. Carla Easter was presented with the excellence in Mentoring award. Dr. Easter was nominated by Teresa Ramirez. I would like to nominate Dr. Carla Easter (Ph.D.), who is chief of the Education and Community Involvement Branch at the National Human Genome Research Institute (NHGRI). She has been my mentor for the American Society of Human Genetics (ASHG) and NHGRI Genetics and Education fellowship. She is a big advocate for Science, Technology, Engineering and Mathematics (STEM) education and building partnerships, where she has mentored so many students in particular girls in STEM. She does not have borders to help anyone that crosses her path. I am so fortunate to know her and have her as my current mentor. As part of my fellowship, she has given me the opportunity to start an NIH and Wheaton High School Partnership (with the Bioscience Academy), where we bring NIH scientists to come speak and inspire students to become scientists or pursue careers in STEM. She has also introduced me to “Every Girl Can Learn” here in the Maryland and DC area. In fact, Dr. Easter has played a major role in the development of the NHGRI/Smithsonian exhibition Genome: Unlocking Life’s Code, and its accompanying website, and serves as a liaison to the K-12 and university community as a speaker on genomic science and career preparation and pathways. Dr. Easter also serves as an adjunct faculty member at the University of the District of Columbia Department of Biology, Chemistry and Physics. From 2003-2006, Dr. Easter was director of outreach for Washington University School of Medicine’s Genome Sequencing Center. Before assuming her role as outreach director, Dr. Easter was a research associate in the Department of Education at Washington University (2001-2003) where she explored the notions of science among secondary students. She served as pre-college coordinator for the NASA Summer High School Apprenticeship Research Plus Program and project associate for the Quality Education for Minorities Network. From 1997-2000, Dr. Easter conducted post-doctoral research at Washington University School of Medicine on the virulence factors associated with Streptococcus pyogenes. Dr. Easter earned her bachelor’s degree in microbiology from the University of California, Los Angeles and her doctoral in biology with an emphasis on molecular genetics from the University of California, San Diego.